You’ve almost certainly used or been exposed to a “tree” question format in an interview, at least as part of the interview, if not as its sole or dominant format. But, which of its many and quite distinct forms, if any, is best or at least useful in a specific interview situation and for a given interview objective? Equally importantly, when is it better to switch to another tree or non-tree approach? We are all familiar with patterns and Q&A scripts like this: Ask what projects the candidate managed, then ask about some of the details; after that, maybe details about the details; or ask for details of programming languages mastered and then for on-the-job experience using them. There are many types of such top-down “tree” interview formats—approaches that should be distinguished from each other. Roughly speaking, most start with some very general or very specific question, in anticipation of and on analogy with some version of what I’ll call a “(bio)logical”, “Linnaean march” through the interview information and down a “Linnaean tree”. As we shall also see, although there are good reasons for using some pure form or mix of branching tree formats, there are times when we needn’t or really shouldn’t. 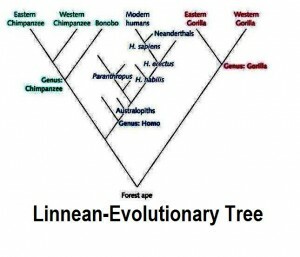 By “Linnaean tree” and “(bio)logical” Q&A, I broadly mean sequentially following up one request for information with another, but at a lower more “specific” (akin to “species”) level of the same basic category—much as the biological classification system created by Carl Linnaeus in 1757, and subsequently adopted by Darwin and accepted by everybody else with a degree in biology. Think of this kind of tree as a “category tree” that takes the interview from broad to narrower categories of information. A: Chordata……etc., down through all the categories listed below, until the “interviewer” can positively confirm whether or not (s)he’s barking up the right dog, so to speak. So the candidate should be hired to clean cages, not fill one. What is instructive, valuable, deceptive and limiting about this (bio)logical interview model may be unobvious to us because of our instinctive use and familiarity with some version, modification or mangling of it in non-circus interviews, e.g., the well-known “binary tree” (e.g., “yes-no” flow-chart) or “control tree” power-pyramid format (also to be discussed below). Especially instructive are the interview tree formats with which the pure Linnaean march can be confused—formats that will work better in some contexts or be effectively blended with it in others, and formats that represent the best and worst uses of “tree diagram” interviewing. Asking what are clearly logical interview questions of this Linnaean sort is a bit like chopping down a tree (despite the bottom-up nature of the tree chopping): The first whack is at the trunk (“How many staff did you supervise?”); when the tree falls, then the largest branches (“What were their responsibilities”? ); after that the smaller ones, working our way to the twigs Caught up in the moment, we can miss the big picture—and not see the forest of possible alternative interview structures (about which more will be said, below). Notice, however, that these staff questions blend numbers, functions, etc., in a way that the pure Linnaean category-tree does not, while, nonetheless, compiling enough information to complete the profile in the same way that the category-tree does. Among the most appropriate and most effective use of the pure Linnaean tree is with interviewing designed to sniff out B.S. Example: The candidate’s resume boasts “advanced computer skills” and a background in mathematics. When you ask him to be specific about these—perhaps suspecting exaggeration, you are adopting a category-tree question format as you attempt to zero in on the most precise information you can get about the categories initially only abstractly presented to you. A quasi-Linnaean march up or down a tree is also appropriate when there’s a focus on organizational structure, which, in general, will have a tree-like structure, branching from the apex (the trunk) down to the lowest-level staff, operations, etc. “What was your working relationship with the general manager?”à”What about your immediate supervisor?”à”And your immediate subordinates?” This is illustrated as the “control tree” shown above. Notice, however, that in this instance, and unlike the pure Linnaean tree, the control tree/power pyramid branches represent tentacles and flow of control, not categories and routes to more specific information. 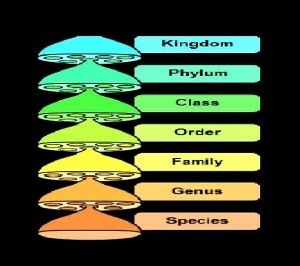 In this respect, an organizational administrative power pyramid is more like an evolutionary tree of direct descent (of species from other, more ancestral species) than like a Linnaean pyramid of shrinking, narrower categories, e.g., from “animal” down to “Homo sapiens”. A comprehensive interview that utilizes tree formats will include combinations of their varieties, including mixing control tree Q&A with pure Linnaean tree, where appropriate—for example when the job candidate has worked in an organization with a clear hierarchical structure. Again, unlike the march down to “Homo sapiens”, this has nothing to do with narrowing down a given abstract category to its most specific instance; instead, it’s about contingency planning and diagnostics. One distinctive feature of binary-tree question formats is that they can be completely planned in advance and provide maximal control over the content and direction of the interview. In this respect, the binary-tree format may be uniquely flow-chartable from beginning to end. Control tree: useful for identifying the level of authority and responsibility, and the channels through which these are communicated, exerted or accepted, as power and deference, e.g., from CEO down to typing pool staff. Logic tree: Think of “if….then” thinking. If the job candidate says X, ask whether that means he also believes or appreciates that he must also mean Y (e.g., as a necessary or sufficient logical condition for believing or stating X. If (s)he gives Z as a reason for Y, ask about Z. Basically, this tree is a pyramid of presuppositions. Historical tree: This is used to determine simple chronology—the sequence of events following another event, without any assumption or exclusion of direct causal influence between or among the events. Enquiring about the flow of an applicant’s work history exemplifies this approach, since the replacement of one job with a subsequent job neither proves nor precludes any influence of the prior job on the timing, content or chances of getting the job that followed.4. This is a crucial distinction, since the historical-tree approach does not assume “post hoc, ergo propter hoc”—“after this, therefore because of this”. An interviewer who confuses these is at risk of mistaking mere sequence for influence. When Joe says he left his cushy lab job at a whiskey distillery to take a job as an inner-city addiction counselor, an interviewer must resist the temptation to causally connect dots that otherwise appear on a time line (unless further questioning justifies doing so). Worse would be re-interpreting (for a report to management) a purely historical-tree line of questioning as a domino-tree format after the candidate has left. Evidence tree: Very similar to a logic tree, an evidence tree leads to empirical facts alleged to support answers to posed questions, as opposed to logically required information that supports the logical defensibility of responses in a logic-tree session. The common denominator of evidence and logic trees is requests for or expectations of “support” of given answers. For example, asked why he quit his job, Randy claims the boss was incompetent. The interviewer asks for a clarification, i.e., evidence for that allegation. Randy says that the boss delegated too much responsibility. The interviewer then asks how that delegation suggests incompetence, and then poses a comparable query regarding Randy’s reply. What is distinctive about the evidence tree is that it is highly vulnerable to the weakness of its weakest links, especially when they are critical. 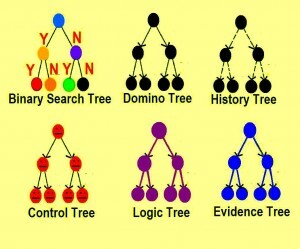 Unlike history trees, binary trees, control trees, domino trees and Linnaean category trees, the evidence tree has a special requirement it imposes on the job candidate: It, like the logic tree, has to be cogent (which requires more than mere credibility, since implicitly it tests some form of intellectual ability of both recruiter and candidate in the process of gathering other candidate information). Binary tree: As suggested above, the beauty of a binary tree format is that it allows complete control over the content and direction of the interview, since all questions are mapped out in advance as contingent interviewer follow-up queries in response to job candidate “yes” or “no” responses. Since candidates are very likely to give elaborate, evasive, inspirational or otherwise detailed answers to what are fundamentally “yes-no” questions, the interview may sustain an appearance of spontaneity and fluidity, despite the rigid format. This consideration can serve as an offset to concerns that a binary tree interview may come across as too mechanical and limiting. Interestingly, a binary search format may, in intent, if not form, be regarded as a close approximation to a Linnaean category-tree interview, because in the end, if all of the candidate’s replies are concatenated into one long descriptor, they will very specifically and precisely identify him or her as falling into a maximally detailed category, e.g., “unavailable weekends/available for weekday overtime/Photoshop capable/……..Homo sapiens”. 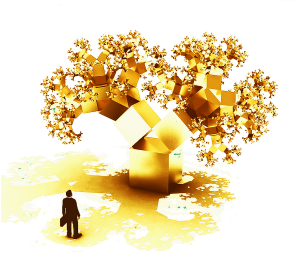 Theoretically, there is another possible kind of interview tree: a “fractal tree” (top photo). This is a tree pattern in which the pattern of branching twigs resembles the pattern of trunk and branches, somehow repeating it, as does the branching and twigging of real trees, until it terminates in leaves. What makes a fractal tree different from your average tree is that the pattern does not end with the leaves, instead continuing indefinitely, down to increasingly microscopic and infinitesimal levels.